Do Renters Really Like to Pay Rent Online? Research indicates residents want to pay rent online, but not many renters actually do. 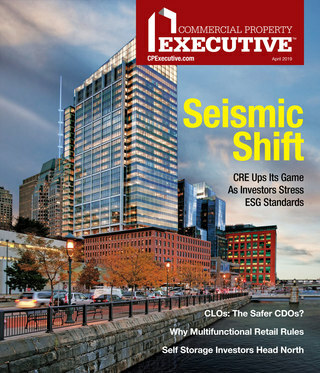 There’s a conundrum to the issue of electronic payment-processing in the multifamily industry. Allowing renters to pay rent electronically offers substantial dividends to both renters and property management companies. For renters, there’s convenience. For management, electronic payment reduces both credit risk and administrative efforts to collect rent. Moreover, studies indicate a large percentage of renters express a desire to be able to pay electronically. So why have penetration levels lagged dramatically? One thing’s for sure: It hasn’t been for lack of interest or effort on the part of property management. Property management firms are increasingly considering the creation of online portals to allow their residents to submit maintenance requests, obtain information about community services and even post ads, he reports. When residents are asked which online portal function is most important to them, maintenance request submission and rent payment consistently rank one and two, with around 70 percent expressing interest in those two items, Smith says. And residents who have access to portals are increasingly using them. Kingsley Associates found that in 2006, only 40 percent of residents took advantage of the online portal. But four years later, 70 percent of residents who have access to an online portal at their community actually use it, Smith adds. Of residents who use a community-provided portal, rent payment is by far the most frequently used function. Fully 83 percent of residents using their community-provided portal reported using it to make an online rent payment in the last year, Kingsley Associates found. The second-most frequent action was the submission of a maintenance request. Memphis, Tenn.-based Fogelman Management Group, with 18,000 units under management in 14 states, rolled out electronic payment three years ago, giving residents the option of paying through credit card or electronic fund transfer. Residents are presented with the opportunity and encouraged to use electronic payment-processing when they sign leases. Fogelman Management Group also runs promotions during their lease terms to encourage mid-lease adoption, says President and Chief Operating Officer Mark Fogelman. “We’ve pushed the program very aggressively, but in our market niche the penetration has been just 11 percent across the portfolio,” he says. There are hurdles to overcome with both the credit card and electronic fund transfer options, he adds. The credit card option involves a fee, which residents don’t relish paying. The electronic fund transfer option should deliver great benefit to all parties, but at most of Fogelman’s properties—as at many nationwide—residents pay a portion of their utility bills with their rent payments. While the rent is a flat amount every month, the utility charge is variable, which makes setting up a flat recurring fund transfer for both rent and utilities each month difficult. “If our rent structure was set up in such a way that the renter would pay the same amount every month, we’d get much higher penetration,” Fogelman believes. Farmington Hills, Mich.-based Village Green, with about 40,000 units in 13 states, began offering electronic payment options in 2004, offering options of either credit card payment or electronic withdrawals from checking, says Vice President of Internal Auditing, Operations and IT Services Mirriam Livingstone. In 2008, a greater percentage of residents paid by credit card, but today a higher percentage pay by electronic withdrawals. Overall, however, the vast majority of Village Green residents continue to pay by traditional methods, Livingstone says. She estimates the figure to be at least 95 percent. 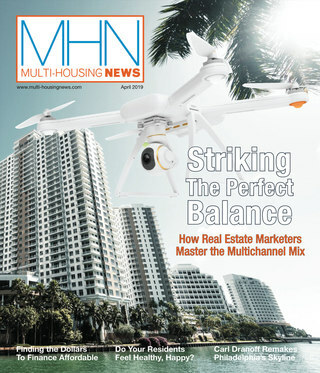 To comment on this story, e-mail Diana Mosher at dmosher@multi-housingnews.com.